Its really hard to get rid of dark eye circles especially if they are due to hyper-pigmentation or damaged skin and especially if you have darker skin tone. Darker skin is more prone to dark eye circles as the broken capillaries show up more rather than on white skin tone. As we age our skin becomes thinner and we lose collagen and fat around that area so the broken capillaries show even more making the circles appear allot worse. Lifestyle can be the cause of dark circles, Is there anything your doing that is unhealthy for your body or are you pushing your body through its limits? Less sleep, sun exposure, bad diet, stress, allergies are all lifestyle tolls that can be a result of dark circles. People with nasal congestion can get eye circles as the condition dilates and darkens the veins that drain from the eyes to the nose. I got my dark eye circles at a young age through late night exam revision and constantly rubbing my eyes on bad hay fever days (very bad idea) also its hereditary and being of Asian skin tone it didn't help either. I sleep for 8 hours a day and my circles didn't go even after trying so many drug store creams. I wasted allot of money on creams that did not have natural ingredients and I believed they would work but they didn't. Some of them even made my eye area very sensitive. I have tried cucumbers and they only help cool down the area to improve eye bags which is good if that's the only problem you have. I discovered the best options for me was the Barefoot Botanicals Rosa Fina intensive eye serum and Rose Hip Oil, I cannot live without them. 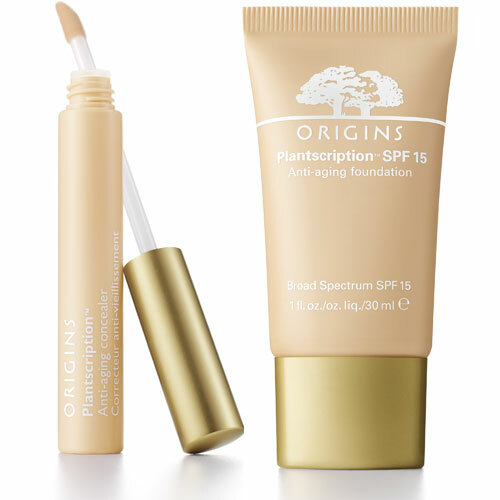 It has improved my dark circles and the pigmentation that forms the dark area. Most of all it is actually like using botox (even though I haven't tried botox) as it deflates my morning puffiness immediately and smooths out the area. I use it at night and over my day cream and under my makeup. I also use Clippers decaf green tea as mentioned in tip 5 below which helped reduce my dark circles. I stopped doing the green tea for a while and the eye circles were coming back so using the green tea in conjunction with the Rose Hip Oil and the Rosa Fina Intensive Eye Serum increased the process of improving dark circles. You have to keep doing it as your lifestyle is still carrying on causing the circles to increase so green tea must go on. 1. Avoid sun bathing as melanin is increased and is the cause of skin pigmentation and can darken the eye area. 2. Drinking alcohol and smoking cigarettes can cause them; even overindulging in caffeinated sodas [source: Mayo Clinic]. 3. Avoid rubbing or scratching the eye area and if you have irritations apply Aloe Vera Gel to cool and heal. 4. If you have allergies take a allergen remedy to avoid irritations on the eye area. 5. Avoid drinking water within 1hr before sleeping, I get puffiness in the morning if I do. 6. Avoid sleeping without a pillow or a very flat pillow as water retention forms around the eyes if your head isn't elevated. 7. Drink organic green tea or green tea which does not have bleached bags and use the warm tea bags over the eyes for 15 minutes or longer if preferred for a relaxing lay down (avoid wearing nice clothes as it stains and wont come off unless you use bleach, and believe me I have ruined allot of nice sheets and clothes). I do this at night sometimes as it relaxes me and I just fall asleep with it on after applying my Rosa Fina eye intensive cream and serum. 8. In the morning press the inner corner of your eyes softly with your middle finger keeping it there for a few seconds then gently press moving outwards along the inner brow area towards the outer eye. this will diminish the look of red eyes and awaken you as the blood flow is increased around the eye. 9. For dry eyes use Pure Rose Hip oil as it will make it appear glowing and decrease wrinkles. 10. Definitely get allot of sleep but do not over sleep more than eight hours as I have noticed I get puffy eyes. 11. Getting a full length sleep without snooze alarms and disturbances stops you from waking up and going back to sleep which give you tired eyes hence puffiness so sleep early and get in a habit of waking up on time so you don't need the snooze alarm plus you will see how much you feel fresher. I drink Decaf green tea as I avoid caffeine.